Tourist visas issued at Mozambique border points, including International Airports, are valid for a second entry despite the visa clearly stating that it is valid for only one entrance. In recent months many visitors to Mozambique have been happily surprised when returning from excursions to Kruger Park, or Swaziland, and found that they are not charged for a second visa. The government announced the change in 2017, including the welcome news that any visitors could now apply for the visa at any border point with visa issuing capabilities rather than the onerous process of applying for visas with Mozambique Embassies and Consulates. However there has still been considerable confusion regarding their availability and the three price changes that the visa suffered in this time. In welcome news to travellers the situation has now stabilised and borders and airports are now considerably more visitor friendly than they were in the past. Frontier visas are issued at a cost of $50 USD to travellers who can show they are travelling to Mozambique for tourism purposes. To support this travellers should show their onward flight tickets and accommodation reservations. If staying with friends the friend should provide a declaration. 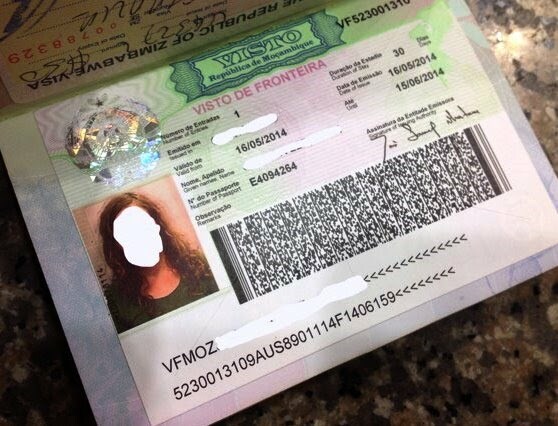 Visitor visas are valid for 30 days and it is no longer possible to get extensions once in the country. Travellers should keep up to date with the latest advances as the visitor visa situation has changed a number of times over the last few years.